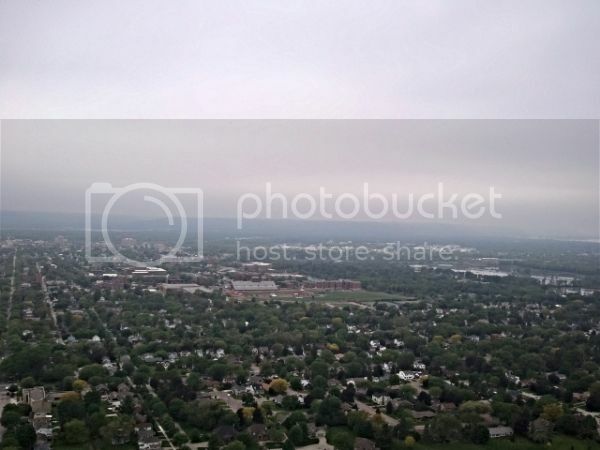 Do you have some aerial shots or similar of the general location where you live? Something that shows terrain and roads and other features that might come into play as you travel by bus, bicycle, walking, etc. 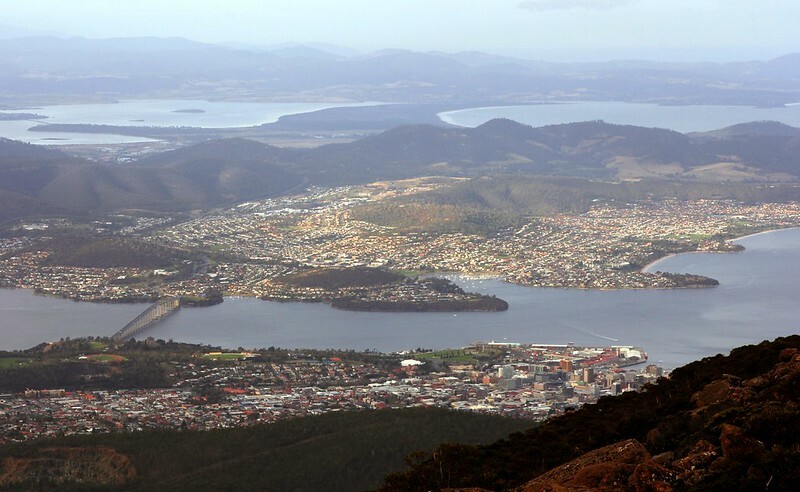 The hills/mountains, Derwent River, and bays have shaped the development of the city. And not in the photos is the development to the south, more or less squeezed in between the mountains and the water. Most cycling here is hilly. However, what you can't see in the photos are the cycleways/MUPs. 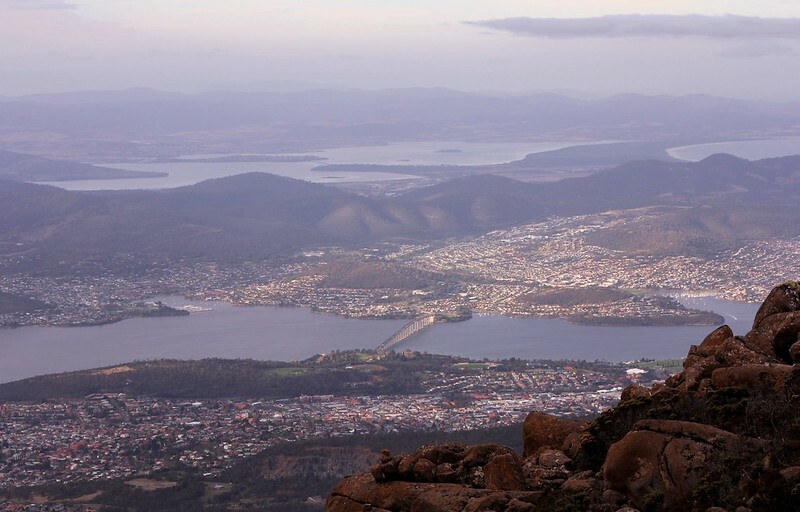 On the eastern shore of the Derwent (top of the photos) there's a lengthy MUP that extends from out of the photo to the right to out of the photo to the left. On the western shore there's a wider cycleway from the CBD to about 14 km to the north that runs close to the river. My pictures are not aerial, panoramic, because IMO, cycling in New England is intimate and enchanting; interesting urban, to picturesque coastal, to buccolic rural. Last edited by Jim from Boston; 05-30-14 at 08:46 AM. The aerial viewpoint can be quite interesting. 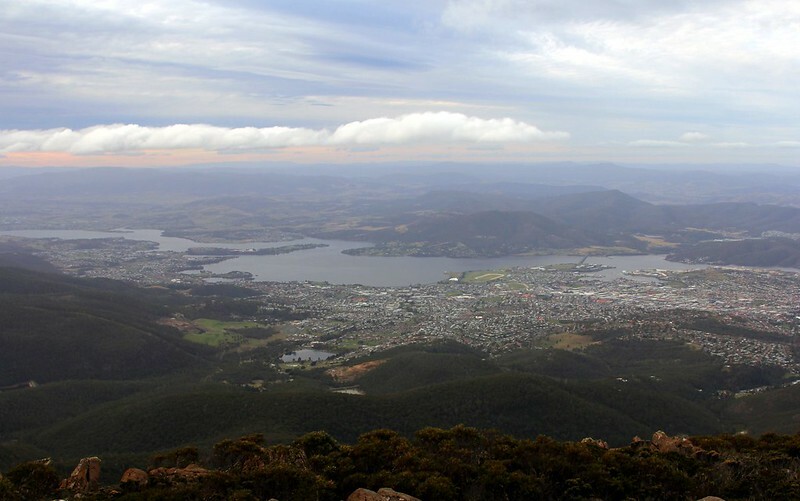 I've gotten to know the Hobart area a bit from the ground over the past few months, and of course, I've looked at maps, but when we looked at it from above, it wasn't exactly how I thought it was. There are more hills than I thought! This is the only elevated photo I have, looking towards downtown Boston, taken from the Blue Hills Reservation (but not at the top of Great Blue Hill). Great Blue Hill (Native Americans called it Massachusett) is a hill of 635 feet (194 m) located within the Blue Hills Reservation in Milton and Canton, Massachusetts 10 miles (15 km) southwest of downtown Boston…Its summit is the highest point in Norfolk County and also the highest within 10 miles of the Atlantic coast south of central Maine…. Might be changing here soon, though; the deal fell through on my house so I may be moving. Interesting thread, thanks for sharing your photos Machka. Here's where I live. The city itself is set on lot of hills, valleys, bluffs, and the foothills of the rockies. Mountains to the west, plains to the east and south, a large ridge to the north. Somewhere off to the left side on the far side of the bluffs. 7 miles from the Ocean, a Block from the Columbia river , roughly Eye level with the bridge on the passing ships, at High Slack Tide ..
Red, right, returning .. they are headed up river. Last edited by fietsbob; 05-30-14 at 03:39 PM. I live at the end of Parry Road in the lower left, and ride in the morning to Dallas in the upper right via Oakdale Road. I have a lot of extended family in Red Wing, Minnesota, and one of these days I'm going to have to bring a bike up there (or tour up to see them), seems like a very pretty area and I noticed a lot of signs for the Mississippi River Trail when I visited last month. Is there much interest in bikes where you are? Red Wing has NO bike shop at the moment and I don't recall seeing anyone riding around that town, ever. I'm in La Crosse, WI - about 90 miles down the river from Red Wing. There's quite a bit of interest in bikes around here, especially during the 5 1/2 months a year when it's not freezing. 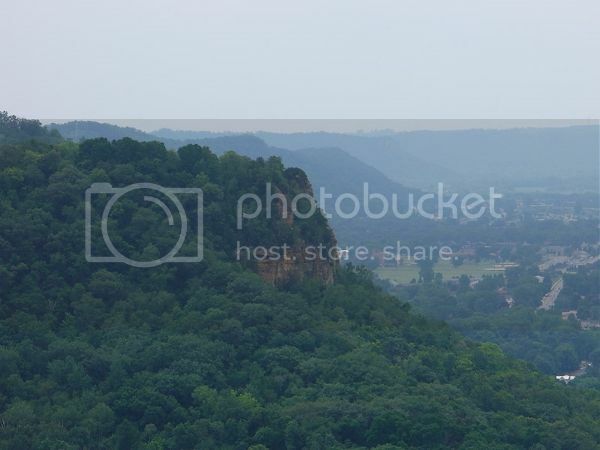 There's a lot of variety, too: mountain bike trails, some lengthy crushed limestone trails, and amazing low-traffic rural roads that go up into the bluffs. I didn't run into very many cyclists this last winter, but once the ice melts, there's a good number of commuters. One thing I've learned from this forum is that everywhere there is one or more riders is a good place for cycling. 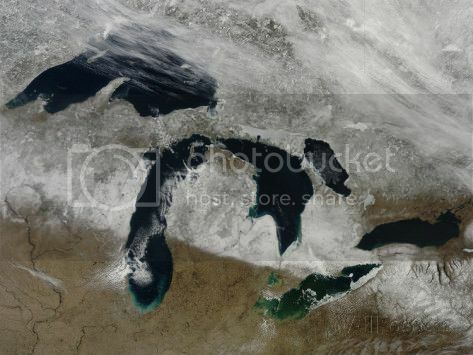 A couple more images of our area. Taken at night you can see how the area has been developed, up the sides of the surrounding hills. 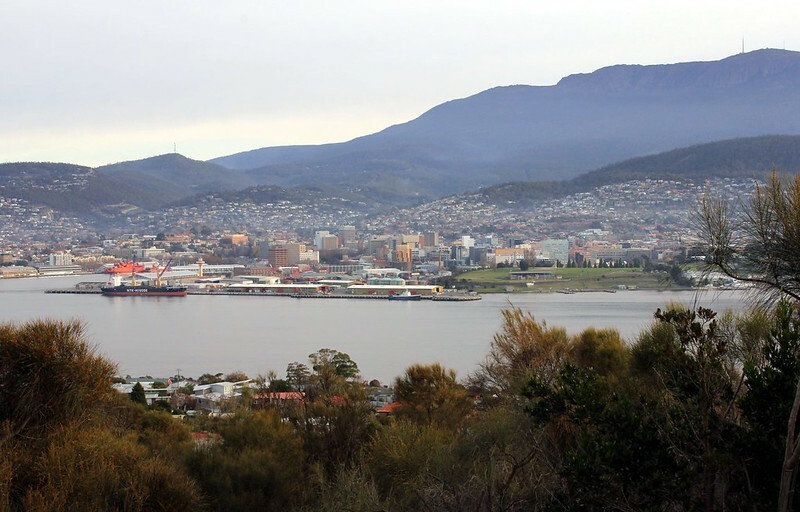 These shots look across the Derwent to the CBD and southward. One of the issues we're taking into consideration as we debate about a move are those hills. If we want to cycle from home, going out might be great, but getting back home could be a challenge. 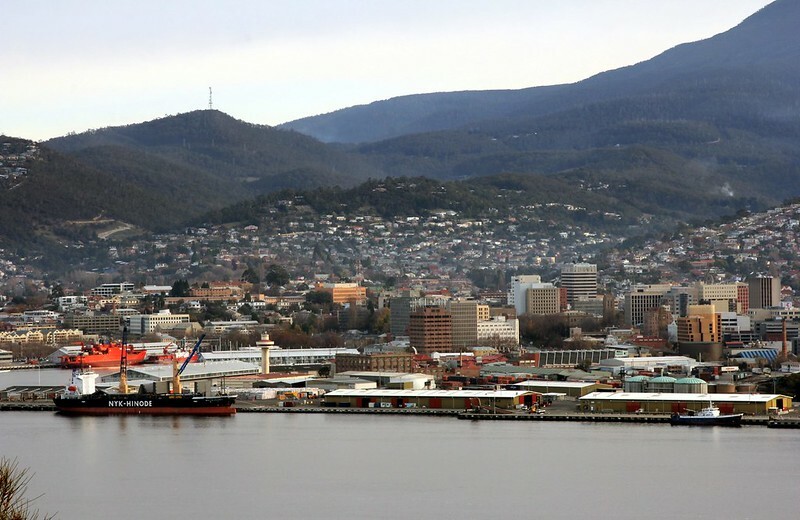 A couple more ... looking across at Hobart CBD with Mt Wellington in the background. 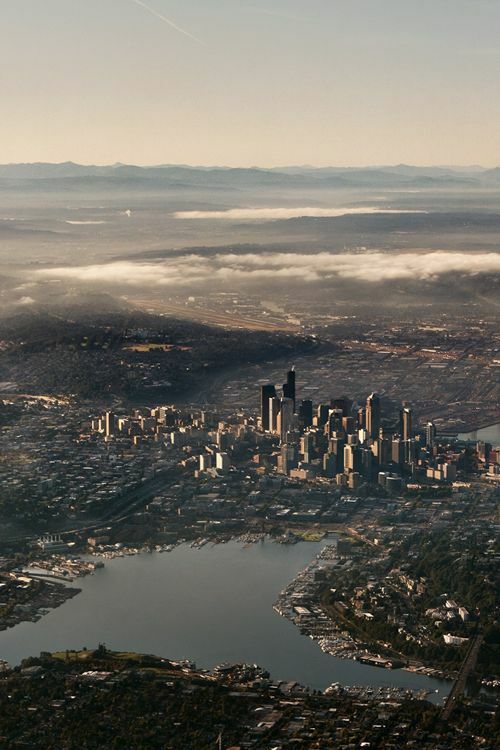 I live in this part of Seattle: my house is just outside of the lower edge of the photo. That certainly narrows it down! You can see cooker's house in there too, more over to the right. Last edited by Roody; 06-15-14 at 06:36 PM. Here's the view of San Francisco from the top of Twin Peaks (Twin Peaks (San Francisco) - Wikipedia, the free encyclopedia). Yeah, I'm not a professional photographer. I mostly just take pictures to prove that I've been somewhere for the most part. New Orleans. Flat as a pancake situated between the Mississippi River (foreground) and Lake Pontchartrain (in the distance). Those are clouds, not mountains on the horizon. Elevation where people live ranges from -6 to +18 feet. You're an a$$hole, Roody. I will never post on this forum again because of you. Don't leave!! ... this forum needs more participants with a variety of viewpoints, not fewer. And thanks for your contribution to this thread. Roody, sometimes you are an a$$hole. This is one of those times. A bit like Manitoba where overpasses are the big hills. We've been in that area (driven through New Orleans, and stayed elsewhere in Louisiana for a few days) and it is a fascinating part of the world. Roody, sometimes you are an *******. This is one of those times. Surely Roody was only jesting. I did not have any intention of offending you! I thought you were making a little joke by showing the entire skyline, and saying you lived just off the edge of it. So I was just taking it one step further. I know I have a very twisted sense of humor...and I totally agree that I am an a$$hole. I apologize and ask that you believe that I have total respect for you. I never wanted to make you mad or hurt your feelings! The idea behind this thread is not to show the exact location of where we each live, I don't want to invade people's privacy that way. It is to show the terrain, roads, and other features in our general area which may affect our car-free or car-light lives. In Rowan's and my case right now ... we live in a very hilly area. This, unfortunately, hinders our desire to be more car-light than we are because those hills take some effort to negotiate. They are particularly difficult for me ... I'm not a hill climber. However, I admire all the cyclists in the area ... I suspect they are half mountain goat! So ... show us some of the features of your area that aid or hinder your car-free or car-light endeavours.